Hofesh Shechter Company celebrated its 10th anniversary and kicked off the first day of the Brighton Festival in May with a performance of Grande Finale, the latest original dance work from award-winning choreographer, Hofesh Shechter. Signature to any Shechter production is the ‘Hofesh Haze’, a very distinctive, thick haze with an extremely even, creamy look that remains consistent throughout the performances. 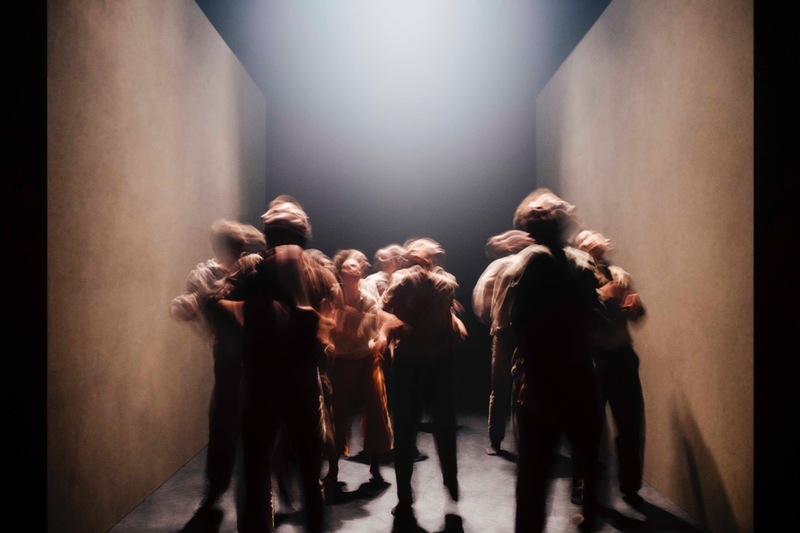 To achieve this look, head of production at Hofesh Shechter, Adam Hooper, relies on MDG haze and fog generators which are hired locally at each venue, or brought along by the company if there is no local availability. “Because haze is such a very large part of Hofesh’s productions, we only use MDG haze and fog generators and specify them on every rider, with no substitute,” he says. In Grand Finale there is no set in Tom Scutt’s design other than seven rolling black towers manipulated by the dancers, relying instead on Tom Visser’s stark and stylish lighting design with beams of monochromatic light that cut sharply through the haze and change with each repositioning of the towers. “The lighting positions are very specific and structured,” explains Hooper. “Focusing can take up to eight hours because Hofesh insists on running through the show at every new venue, and his attention to detail means we frequently tweak the lighting levels by as little as 0.5% during technical rehearsals. This is why the ‘Hofesh Haze’ is a very important addition to the aesthetic. We need it to look the same at all times, with no little puffs or clouds or gaps across the stage or auditorium, to show the lighting to its best advantage, and we can only achieve that with MDG. This can prove tricky in some venues where variations in temperature and modern air management systems can wreak havoc with the fine-tuned haze. “MDG is superb at helping to combat these vagaries because the output can be controlled so precisely and the haze is so fine,” he says. To maintain the correct levels of haze during the performance at the Brighton Dome, two MDG machines were located one each side of the stage, accompanied by nine DMX fans rigged 2m above the lighting grid and another four on stage at each corner to drive the haze down and keep it consistent around the dancers. Gubanov controls the fanspeed remotely from the console and the hazer output manually from the wings to keep the creaminess in the right place and at the right consistency. This consistency, which is particularly predominant in Grande Finale, is very noticeable and effective. With so little in the way of set and no wings to enter and exit from, the dancers are able to disappeared in and out of the haze and into the shadows instead. At times they almost seem to levitate during the very energetic and dramatic performance and the depth of field is increased, as the haze starts to envelop the dancers as they move further up stage. MDG has developed the new ATMe and Me1 haze and fog generators, building on the success of the ATMOSPHERE and MAX series. These units have identical power consumption and footprint but offer a significantly increased output making them incredibly efficient. They also have enhanced control with in-built RDM/DMX which allows precise remote control over the flow of output, enabling the operator to change the flow from a fine haze to a rolling fog from the convenience of the control desk. 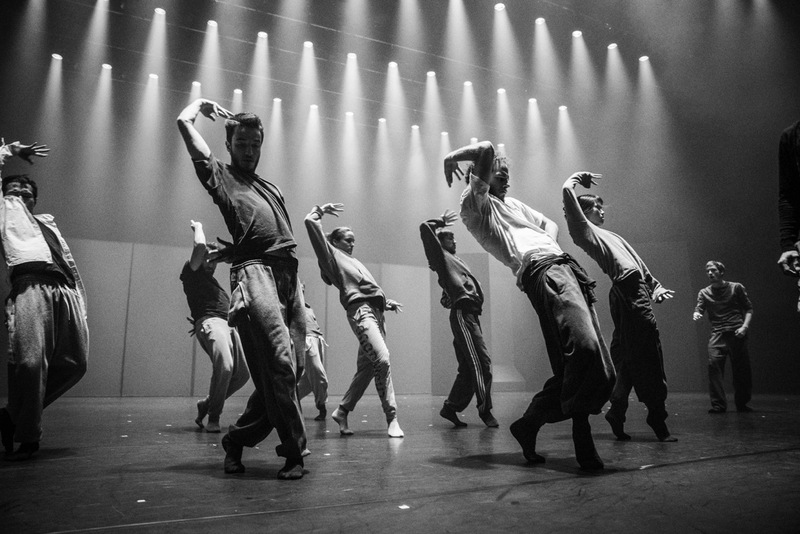 Obviously, these new machines would be an incredible asset to a company such as Hofesh Shechter, whose designs and choreography rely so much on the quality and use of haze. Grand Finale has been touring internationally since its premiere in Paris last summer and is currently touring the UK where you can catch the next show at Sadlers Wells from 4th -7th July, before it continues its international schedule until the end of 2019. Wherever it goes the ‘Hofesh Haze’ will be produced by MDG machines – the ‘Atmosphere’ will be amazing!